UPDATE 19/01/16: After selling out their first Melbourne show, The Jesus And Mary Chain have announced a second Melbourne show for Sunday, 6th March 2016. Catch updated tour details, below. ORIGINAL STORY: Marking the 30th birthday of their seminal album Psychocandy, post-punk pioneers The Jesus and Mary Chain have just announced a special Melbourne show to celebrate the anniversary of the album’s release. The band will play Melbourne’s The Forum Theatre in March 2016, performing the album in its entirety. The show follows on from others that saw the band return to stage, following seldom performances over the last decade. Drawing diverse crowds of fans both young and old, it’s clear that 30 years on Psychocandy still carries the same weight and importance it did when it was first released. Forming on the outskirts of Glasgow in the early ’80s, core members William and Jim Reid would see the band rise from the quiet suburb of East Kilbride to become leaders in the post-punk movement. Later joined by Bobby Gillespie on drums (before he would go on to front Primal Scream), the band would hone their musical approach over the years, combining noisy effects-laden sounds and textures with lyrics speaking of teenage angst and discontent. 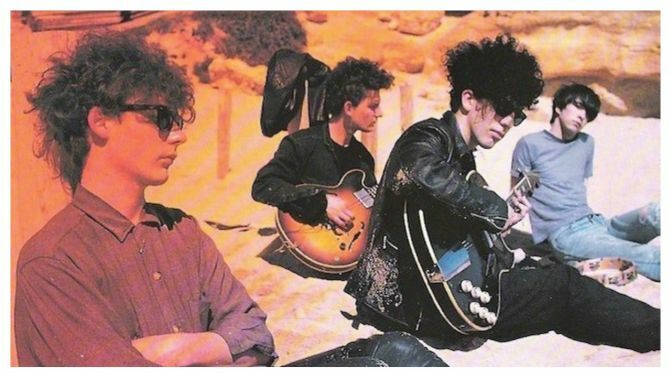 The experimentation proved a hit, with The Jesus and Mary Chain going on to become one of the most influential bands of the ’80s. With everyone from Nirvana to My Bloody Valentine sighting them as a key influence, their debut Psychocandy is still held up by many as the archetype on which their own bands’ sounds were built. Having last played in Australia in 2008 as part of the now defunct V Festival, this show is a must see not only for Jesus and Mary Chain and post-punk fans, but fans of music anywhere. Renowned for their tumultuous and noisy live show, it might be a good idea to stock up on some ear plugs beforehand though, if you’re a wimp that is. No word yet on whether the band will be taking the show beyond, but stay tuned for more details. In the meantime tickets go on sale on Thursday 3rd December at 9am AEDT from Ticketmaster, with full details here below. In the meantime check out the band’s video for the iconic hit Just Like Honey.